This was the main post on cracked.com today and it was titled 6 Baffling Flaws in Famous Sci-Fi Technology. I read them all, but the one that struck me the most. The Technodrome from Teenage Mutant Ninja Turtles. I loved the original Turtles show. I still think they are classics. I even started buying the cartoon on DVD a few years ago, but I stopped once they got to season 3 (which had too many episodes to purchase them separately). 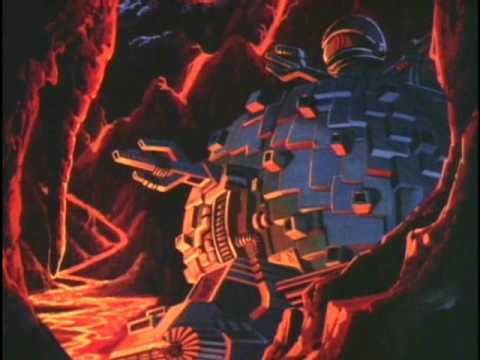 In the Teenage Mutant Ninja Turtles universe, the Technodrome is a futuristic doom base/horror tank from another world built by a gigantic brain with arms and a tripod. It was able to withstand any environment–from the vacuums of space to the depths of the ocean–and came equipped with a robot army, deflector shields, interdimensional teleportation and even a time machine. It also made a totally badass toy. I did however really appreciate the fact that they put the “Technodrome soundtrack” in there too.